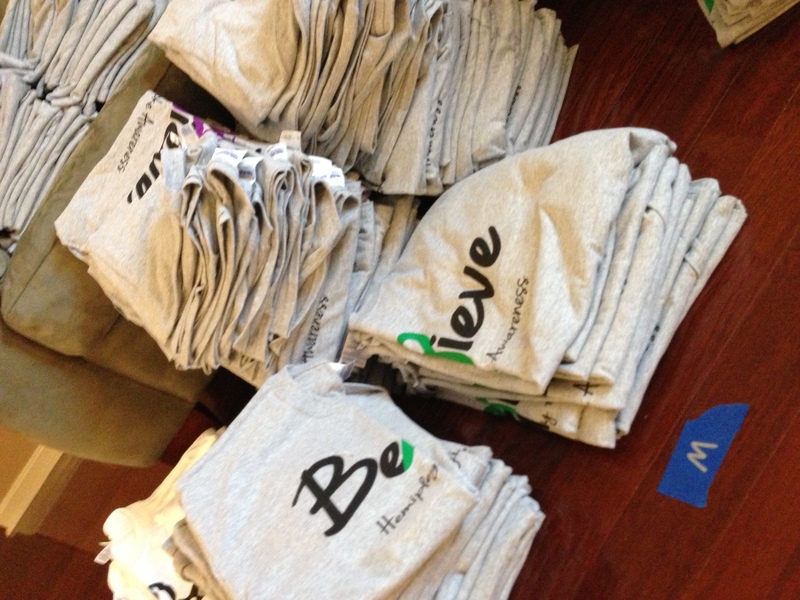 We’re excited to let you know that the CHASA Awareness shirt orders were shipped on 12/11/12, USPS priority mail , so watch your mailboxes for your order. We apologize for the 4-day delay in shipping. We had a slight set back because the manufacturer did not have one of the toddler-sized shirts. Please check your order when it arrives. If you have questions about your order, please contact us using the Contact Us form on the CHASA site. If there is an error in your order, please notify us within two days of receiving your order so that we can quickly make corrections. Please do not contact us using social media because we do not read all social media messages and could miss your message. The shirts look beautiful and we’re excited to see photos of everyone wearing them. Thanks for helping us spread the word about our kids! A huge THANK YOU to CHASA Board President, Jana Smoot White and her husband James, also parents of a pediatric stroke survivor, for all of their hard work in making this project happen. We’d also like to thank the great folks at Fowler Bell for their assistance. If you did not order a shirt, we’re sad to tell you that shirts are no longer available.